Naturally – the technical faculty was opened in 1995. 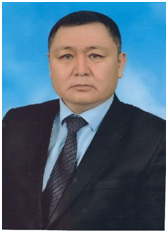 The first dean of the faculty from 1995 to 1999 was the Honored Education Worker of the Kyrgyz Republic U. Murzakulov. The educational activity of the faculty is aimed at training highly qualified personnel in the field of “Natural Science Education” in the fields of biology, geography, ecology and environmental management, forestry and landscape construction, chemistry;veterinary medicine, traffic organization and safety, highways and airfields, protection in emergency situations, electric power systems and networks, power supply. Students at the end of the university receive state diplomas of the Kyrgyz Republic. The faculty has 8 departments. The material and technical base of the faculty consists of 54 educational and research laboratories providing students with in-depth study of technical disciplines, as well as carrying out fundamental and applied research projects under the guidance of the faculty scientists. The teaching staff includes 69 teachers, of whom 56 are full-time teachers, 13 are part-timers. Of these, doctors of science, 5, candidates of science, 15. The faculty is taught by leading scientists and teachers of the Kyrgyz Republic. Among them are laureates of the State Prizes of the Kyrgyz Republic, honored educators and scientists of the Kyrgyz Republic, inventors. Epizootology fasciollosis of sheep and other ruminants in the conditions of Jalal-Abad region. Study of changes in exposure to ultraviolet rays in the seasons of the year in the city of Jalal-Abad. VAT assessment of the slopes of reservoirs, dams hydraulic structures. Assessment of the prospects for the hydropower potential of the small rivers of the republic and the study of the possibility of their use for the generation of electric energy. Development of scientific and practical recommendations for the optimization of logistics centers and the improvement of transport tourism. The effect of ecofactors on medicinal plants, the study of genetic and biological features of dairy-type goats and the use of medicinal plants of sheep and goat fascioliasis in the conditions of the Jalal-Abad region. Ecological studies of insects, species composition of plant communities, the role of natural conditions in the formation of the fauna and flora of the Padyshatinsky State Reserve. 35 scientific articles in refereed journals, 12 textbooks and teaching aids, 1 of them with the signature of the Ministry of Education and Science of the Kyrgyz Republic, 1 patent registered. Faculty members took part in 18 conferences at various levels, 2 conferences were organized at the university, including the international level. Students are also involved in scientific work. Students in the performance of term papers and theses use compulsory computing equipment. Many works are fundamental and applied. More than half of the diploma works of students of the faculty have a practical orientation and are made on the orders of enterprises and public institutions. The faculty conducts and supports the olympiad movement. Every year, students participate and are winners in international, regional and republican olympiads in mathematics, biology, computer science, etc. Kazak National University named after Al-Farabi RK, Almaty. Kazak National Pedagogical University named after Abay RK, Almaty. English national university named. Kyrgyz national University named. GPP. Kyrgyz State University. I. Arabaev KR. Bishkek. Kyrgyz-Turkish University “Manas” KR. Bishkek. Kyrgyz State Medical Academy . I.K. Akhunbaeva. Kyrgyz Technical University. I. Razzakova KR. Bishkek. Kyrgyz Mining – Metallurgical Institute named after U. Asanaliev. KR Bishkek. Osh State University, KR, Osh. Osh State Social University of the Kyrgyz Republic Osh. Osh Technological University. M. Adyshev KR Osh. The faculty has 664 students, 237 of them on a budgetary basis. During its existence, the faculty has trained more than 2 thousand graduates of educational standards of the Kyrgyz Republic. Their demand in the workplace, in administrative, educational and cultural spheres of Kyrgyzstan and beyond, indicates a high level of training of young professionals. Student practice takes place in the most prestigious institutions, organizations and enterprises of the Kyrgyz Republic.